First Story is a registered charity which places published authors in schools to hold weekly workshops on creative writing. At the end of the programme, the students pieces are published in their own anthology. 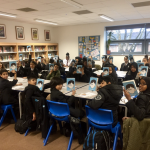 The commitment of having a real writer coming into to school every week to explore freedom of expression and encourage confidence has an immeasurable benefit on the students. 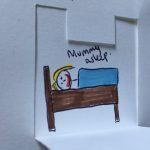 As well as inspiring children to become great writers one day, the programme acts as a meaningful space where new forms of written expression can be explored and enjoyed by everyone. Since 2012, we have given books regularly to First Story for the students on their programme, as Christmas presents to First Story students and supplied books for their annual Young Writer’s Festival. The Give a Book stall always attracts enthusiastic readers eager to get their book for the subsided price of £1, and there is the added excitement of being able to get it signed by the author themselves. 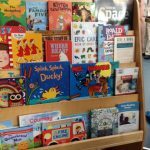 ‘The kids were really excited by it – they rushed as soon as they heard they could buy more than one book at the end of the day. 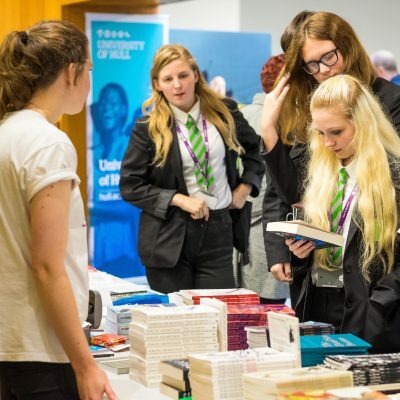 For students that are on Pupil Premium it was affordable, and they picked books they might not have been sure about because they were only £1’.